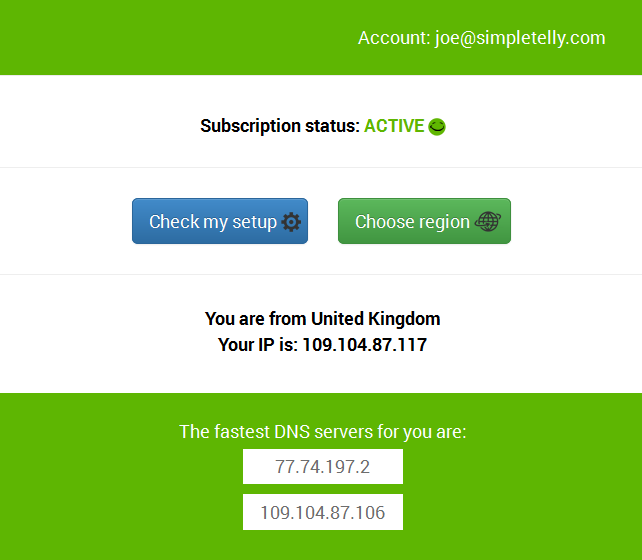 How to configure SimpleTelly on your Netduma. 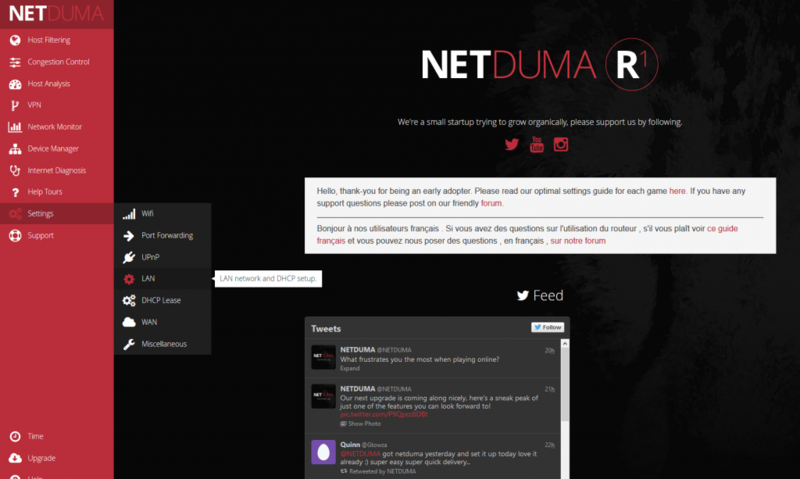 This page will guide you through the setup process on an Netduma R1 router. Note: While these instructions were written based on Netduma R1 debug version 1.03.5m running on rb-951g-2hnd, the principal should be the same for other models / versions of the Netduma R1 router. 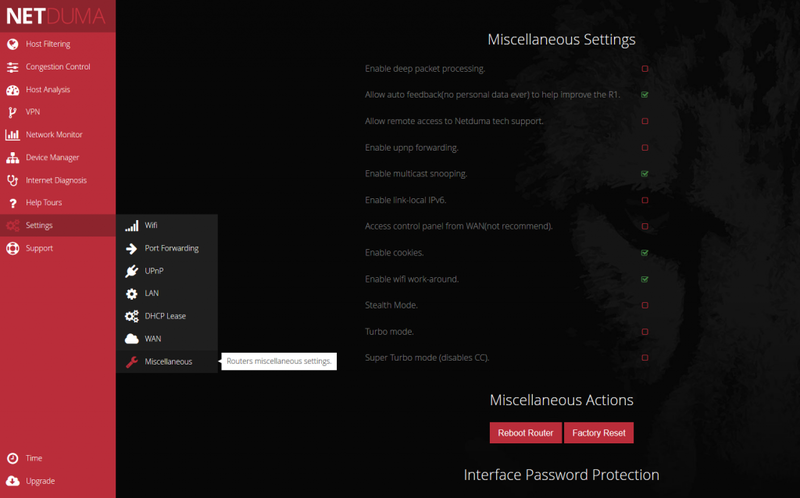 If you have set up the Interface Password Protection, please log in to your Netduma R1 router user interface using the credentials you've set up and click on Settings. 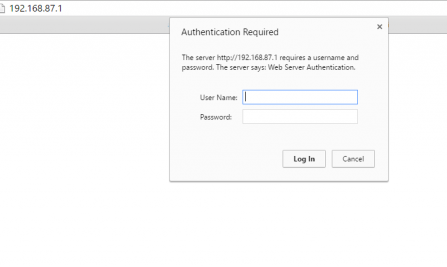 Note: By default, the Netduma R1 does not require any login credentials, so if you have manually set up a login profile, your user details may differ from the ones listed above. 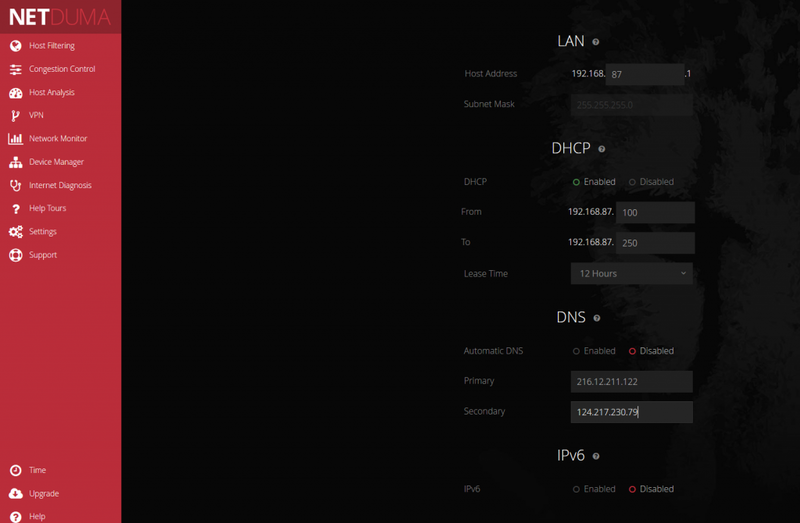 Next, scroll down until you see DNS and Select Disable, which will allow you to change the DNS addresses on your router. At this point, enter the two DNS servers you see in your Client Area into your router,under the columns DNS primary and DNS Secondary. 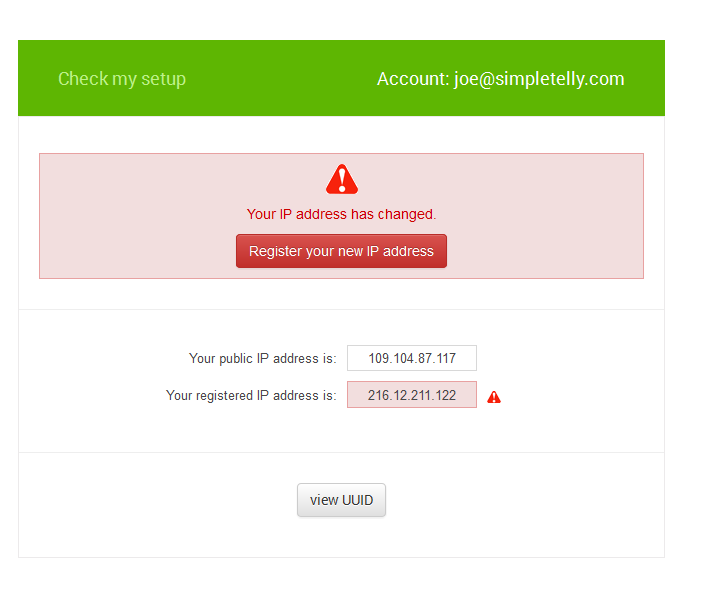 Once the DNS addresses have been entered into the router, please scroll down and click on the Apply button. 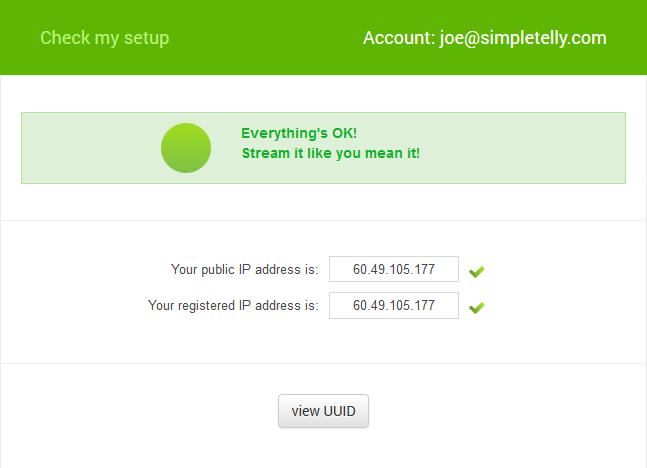 Once you've applied the change, the SimpleTelly service should work right away. We do, however recommend that you reboot your router just to be on the safe side. To reboot your router, please click on Settings followed by Miscellaneous. You will see the reboot button on the following screen.